WHEN IT'S GONE, THERE ARE NO MORE! 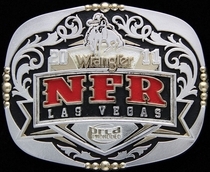 NFR Silver and Gold Beaded Belt Buckle by Montana Silversmiths. Our most popular NFR item! 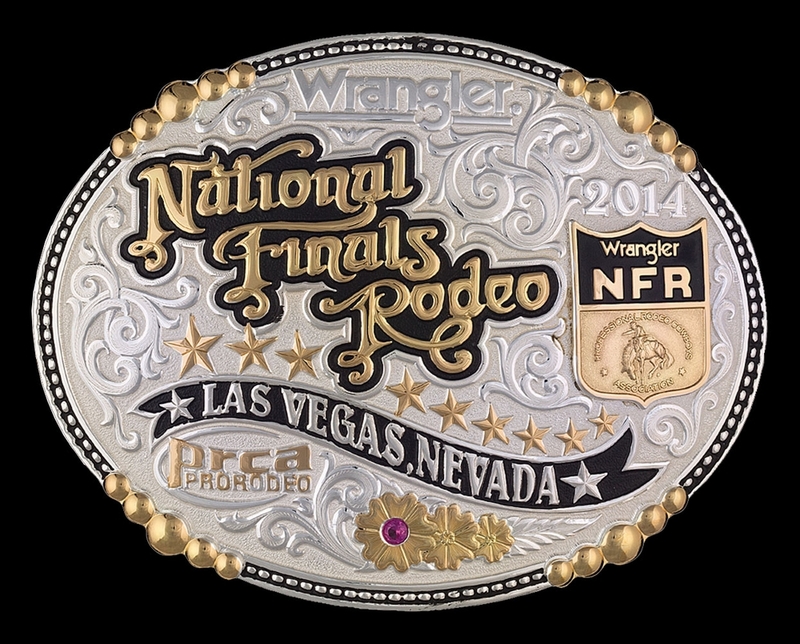 Bold lettering spells out "Wrangler National Finals Rodeo" with the WNFR emblem shield over gold ribbons engraved with 2013 and Las Vegas, Nevada. Trimmed in silver etched berries and gold beads, this strikingly intricate buckle is fully engraved in the traditional Western bright cut style, the lower right corner accented with hand-painted black to contrast the large flowing silver vines reaching out from the gold flower and ruby colored stone accent. Fits a standard 1.5" belt.